THEY say home is where the heart is, but for Lightweave CEO Sam Hussey, home is also the key to his success. 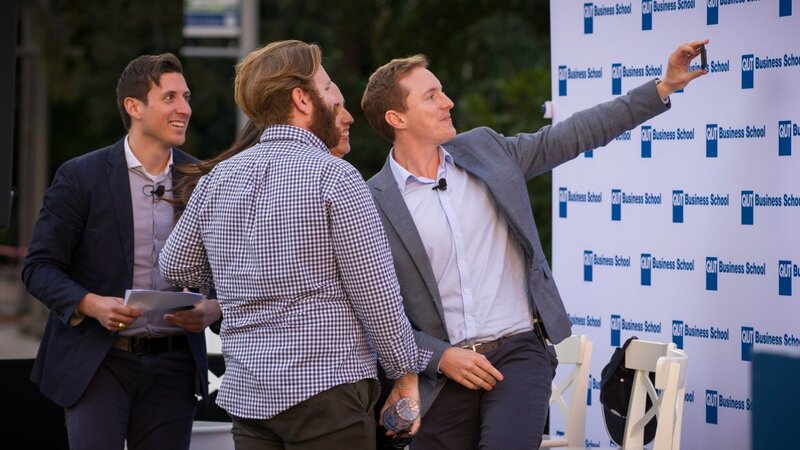 Hussey co-founded Lightweave in 2016 eager to prove the potential he saw for virtual reality and new technologies to be used for engaging marketing. With a background in advertising, Sam saw a gap in the VR/AR market and decided to launch his own experiential agency, helping brands tell stories in engaging ways through the power of immersive technologies. As a true-blue Brisbanite, Sam was committed to building-up Brisbane’s tech space here rather than abroad, understanding the creative and technical potential within the city he has always called home. The overnight success of Lightweave is very exciting for a Brisbane-based tech agency, with the company leading in this new media space not only nationally, but also on the world market. Lightweave has grown exponentially since its conception and is already one of Brisbane’s most successful new technology agencies. 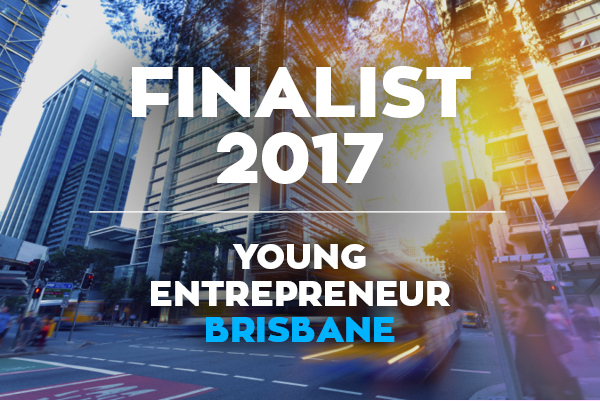 It is no wonder then that Business News Australia have announced Lightweave’s CEO Hussey as Brisbane Young Entrepreneur of the Year Finalist 2017. As one of Australia’s most prestigious business awards, the Brisbane Young Entrepreneur Awards recognise Brisbane’s top business founders who have contributed to economic prosperity, built a thriving business, challenged the status quo or pioneered social change. The Young Entrepreneur Awards attract the country’s most inspiring young business people from a variety of industries and celebrates their successes and achievements. Business News Australia aims to discover and recognise young business talent in Australia, celebrating the trailblazers within our own backyard who are making phenomenal waves in their industry space. The qualities of the Brisbane Young Entrepreneur Award looks for successful entrepreneurs under 40 who share the same strain of passion, an eye for innovation and a desire to leave a legacy. The most exciting thing is they call Brisbane home. Many of the finalists are competing on an international scale, turning the attention to Australia as a global leader of entrepreneurship. The Brisbane Young Entrepreneur Awards culminate in an awards ceremony Gala event presented by Business News Australia held at Moda Portside on Friday the 29th of September 2017. The event will recognize Brisbane’s finalists and winners will be awarded their titles on the night. While Sam being awarded for his contributions to the Brisbane tech space is an honour for the whole company, Sam’s contributions to the Brisbane business and tech community often go without recognition. Sam regularly gives his time to speak at public events across the State and represents the Australian VR and AR industry on the global stage, as well as leading community-positive projects. This month, Hussey spoke at a handful of Brisbane-based events sharing his insight into the industry. 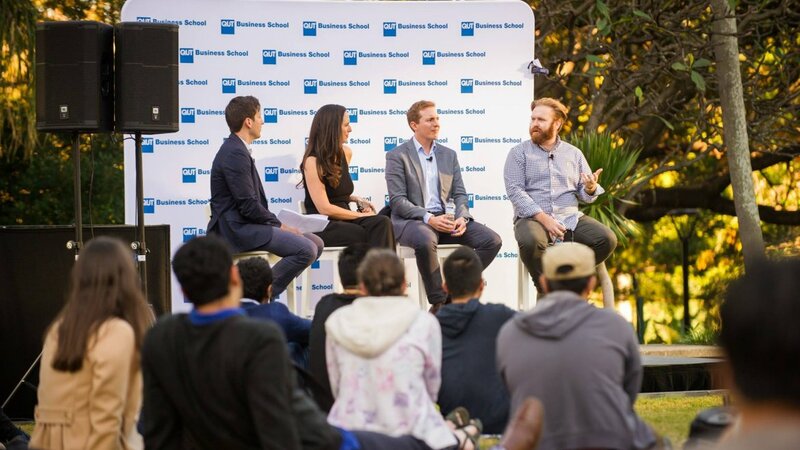 Sam was a guest speaker at Queensland University of Technology’s Business Leaders panel to educate and inspire young entrepreneurs wanting to dip their toes into the world of business. Sam, along with other Lightweave representatives, were later guest speakers at the Australian Virtual Reality Film Festival held at the Brisbane Powerhouse, sharing their insight into the VR industry and the future for this exciting tech space. Sam is again presenting next Thursday August 31st at Queensland University of Technology’s PwC Chair of Digital Economy event on the topic of Digital Strategy. Lightweave prides itself on being a Brisbane-based agency, and is committed to building the Brisbane tech community. Sam is currently working to invest in the Brisbane developer community and to give Brisbane developers a pathway to access VR and AR hardware and tech. Lightweave supports the local community through sponsoring developer events such as The Code Network Winter Hackathon and through community VR contributions. Last year, Lightweave partnered with not-for-profit Hummingbird House, Queensland’s first children’s hospice, to deliver a VR experience to help raise funds at the charity’s first official Gala dinner. The key reason for Lightweave’s push to build the Brisbane tech community and the attitude around it, is that by growing our own community of developers, we will be able to attract exciting and world respected projects retaining strong technical talent within Brisbane. Hussey is proud to call himself a young Brisbane entrepreneur and is excited to support this growing city. Sam endeavors to prove that you don’t need to move to Silicon Valley to be a world tech leader: Brisbane is Australia’s leading tech city.